The trip is available from June to the end of September. The tour runs with a minimum of 8 participants, but you may book from one person. Kids must be at least 14 years old. Participants must be experienced hikers. Previous via ferrata experience is not necessary. What to bring? Comfortable sportswear, snacks, lunch, lots of water, sunscreen, sunglasses, and a camera. Transportation is possible from Interlaken hotels and the Interlaken Ost and West train stations. After the activity, you will be dropped off where you were picked up. If you need to arrange a meeting point, please let us know. 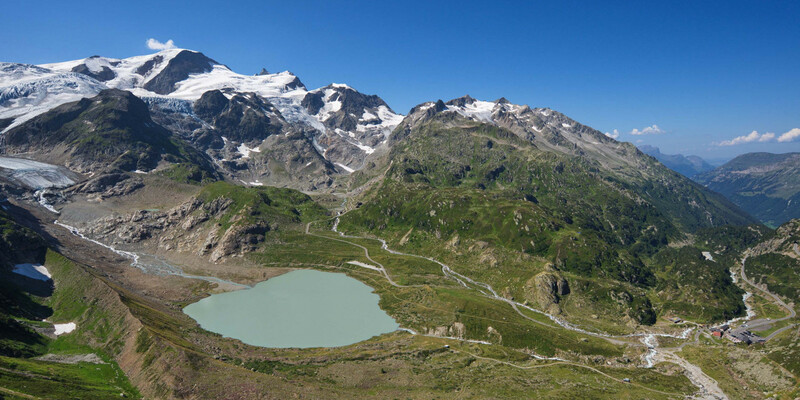 The Stein Glacier sits in the middle of Switzerland and stretches on for 4 km (2.5 mi). Discover this icy paradise with a via ferrata that’s as exciting as it is frosty. This K3 level route across the Stein Glacier provides a challenging adventure up to the summit for outstanding views of the Alps. From your Interlaken accommodation or the Interlaken Ost and West railway stations, your certified guide meets you with all the equipment you need and even a backpack to hold your small belongings and snacks. The hour-long drive brings you to the center of Switzerland where the adventure begins. Explore the vast landscape of rocks and snow of the stunning Stein Glacier. The blue ice sheets and rocky ridges create a picturesque backdrop for the fun of the climbing. The ladders and pegs along the way bring you better views with each step. The entire route takes around 5-6 hours, not including a break at midday. The stop for lunch offers you the chance to pause and admire the glacial landscape as your guide explains the environmental significance of these ancient features. From the summit, enjoy sweeping views of the towering peaks of this world-famous mountain range. 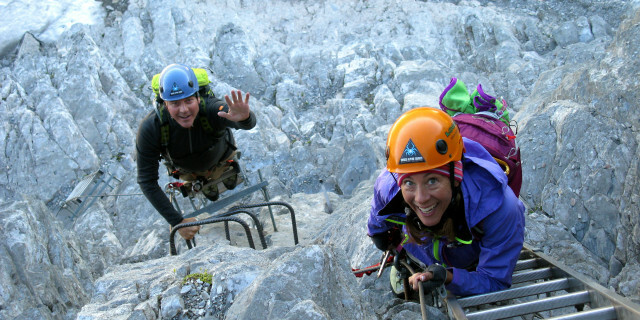 Travel across the heart of the Alps on a tough but incredibly beautiful via ferrata. Whether it’s your first glacier experience or not, the feeling of exploring this extraordinary glacier will be frozen in your mind for years to come.